If I’m working with pump math I’m typically using either pump charts, rule-of-thumb, a calculator or spreadsheets depending on the situation. 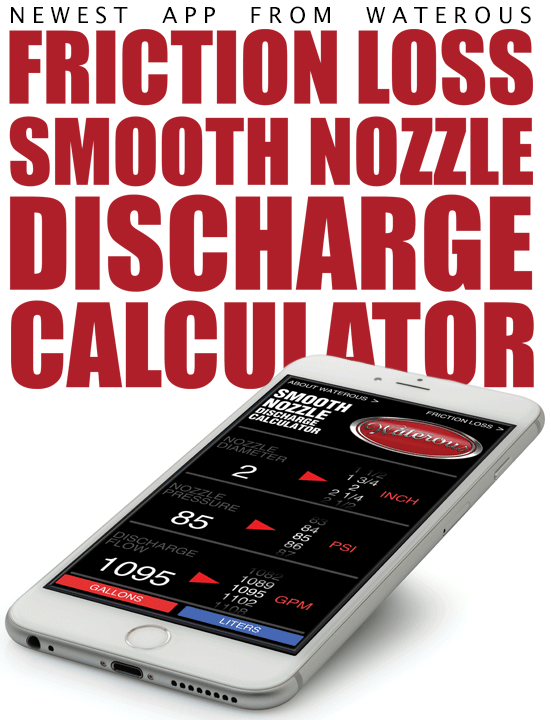 So far I haven’t used any apps for phones or tablets but I did have a chance to take the Waterous Friction Loss & Smooth Nozzle Discharge Calculator for a spin earlier today and it is very slick. It’s easy to use, read and took absolutely no time to figure out. This app works with either iPhone or Android. 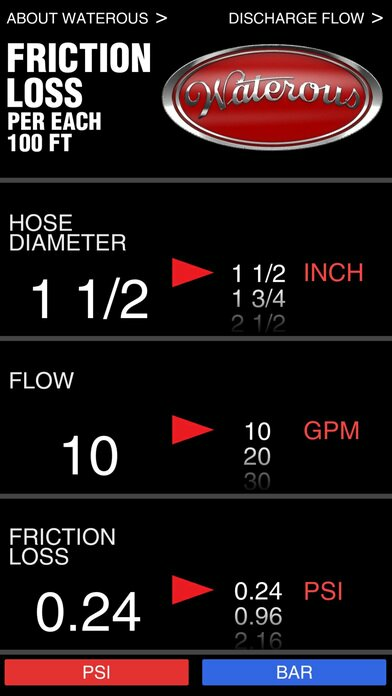 The Waterous app currently uses mixed imperial and metric measurements with the option to switch between metric and imperial but only for the final friction loss or discharge flow values. It would make more sense if the entire calculation was displayed in either imperial or metric or give the user an option to pick their units. Maybe they will add this feature in a future release. For friction loss we need to know hose diameter, flow and friction loss coefficient. Unfortunately the Waterous app doesn’t display the coefficient so I assume they are using some commonly accepted standard but it would be nice if they provided another screen where this could be defined or at least viewed. Friction loss coefficients can vary greatly depending on the manufacturer and type of hose. When considering smooth nozzle discharge we need to know nozzle diameter (tip size) and nozzle pressure. On each of these screens you can select the appropriate values and the results will be calculated automatically. 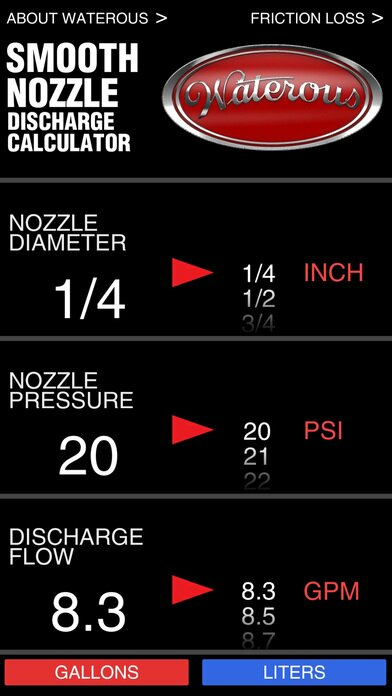 You can also adjust the resulting friction loss or discharge flow values and the respective flow or nozzle pressure values will be adjusted accordingly. Neat! This is a valuable tool for illustrating how the various values affect one another. I bet there are some other really great apps for pump math out there. Which ones do you like?